But the rugged, maritime culture of Maine is rooted in the immense beauty of the state; look far into the backwoods and deep into Penobscot Bay and you will find a fresh beauty unlike any other place in America. 1. To eat lobster on the beach along with clams and corn, all steamed next to the ocean under a bed of seaweed, followed by a jump in the cold Atlantic to wash yourself off. 2. To sail on a traditional wooden schooner like the Timberwind and jam the wind with a crew of salty sailors- and maybe even become one yourself. 3. To ride the mountain at the Camden Snow Bowl, the only ski resort in the world with a wicked view of the Atlantic Ocean, and catch the National Toboggan Championships in February of each year. 4. To indulge in blueberry season with fresh pies, tarts, and pancakes- served with Grade A maple syrup, of course. More about the chocolate than the fruit? Try a classic New England Whoopie Pie. 5. To go ice fishing. While sitting out on a frozen lake staring at a hole in the ice waiting for fish may seem a little boring, add a wood-fired sauna on shore and a large helping of coffee brandy and milk (the Maine State Drink) and you will understand this northern obsession. 6. To tie a sled to the back of a snow mobile by a long rope and get your friends to pull you around. NOT recommended after indulging in the Maine State Drink. 7. To walk in a field of lupines, tall elegant flowers which dot the countrysides in spring in a palette of purple, pink, white, yellow and fuchsia. Visiting in autumn? The bright red leaves of the sugar maple tree will blow your mind. 8. To truly understand the need for gloves, hats and scarves which are not accessories in Maine, but necessities (during the six-month snow season, anyway). 9. To share your days with the wildlife: sea lions who pop into bays at low tide, families of foxes playing in your backyard, bright birds of all colors, and the regal moose, lumbering through the backwoods of Maine and into your heart. 10. To breathe in the smell of the sea and the firmament of the forest, letting the raw salty air and deep piney green soak into your body and become part of your person. 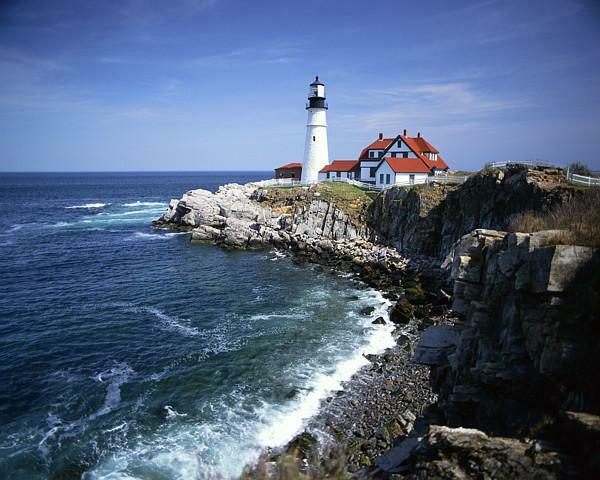 Natural beauty defines Maine, and will delight you. Ayuh.